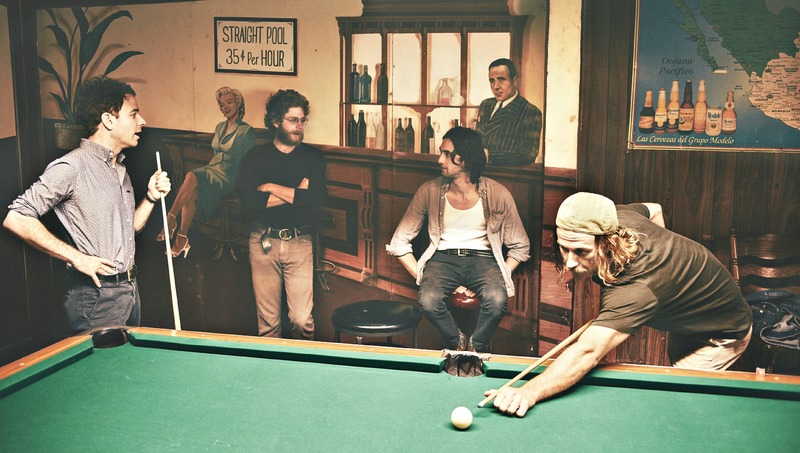 Since the 2009 release of Dawes’ debut album, North Hills, the Los Angeles band has established itself as one of California’s most preeminent rock ‘n’ roll exports. The quartet might be torchbearers of the classic Laurel Canyon music scene, but they have their own warm, inviting and very contemporary folk rock vibe, as they reaffirm on their mellow fourth album, All Your Favorite Bands. Recorded in Nashville with producer David Rawlings, longtime partner of Gillian Welch (who also guests on the album), All Your Favorite Bands expands on Dawes’ most dependable qualities. Singer and guitarist Taylor Goldsmith’s songwriting skills have sharpened over the years: his strong melodies manage to be simultaneously new yet familiar, while his lyrics articulate easily relatable sentiments. Taylor and the balance of the band—drummer Griffin Goldsmith (Taylor’s brother), bassist Wylie Gelber and keyboardist Tay Strathairn—laid down the songs live in the studio and the result is a richly authentic reflection of Dawes’ chops, honed on the road. “I Can’t Think About It Now," with backing vocals courtesy of the aforementioned Gillian Welch and Ann, Frieda and Regina McCrary (three-quarters of the McCrary Sisters), is a classic bit of ‘70s California rock with some nice guitar work courtesy of Taylor. “Right On Time” adds a bit of late punch to the album’s pace. On All Your Favorite Bands, Dawes doesn’t attempt to reinvent the wheel. Instead, they stay true to what they are and deliver a work that is sure to please this reliable and relaxed band’s huge legion of fans.